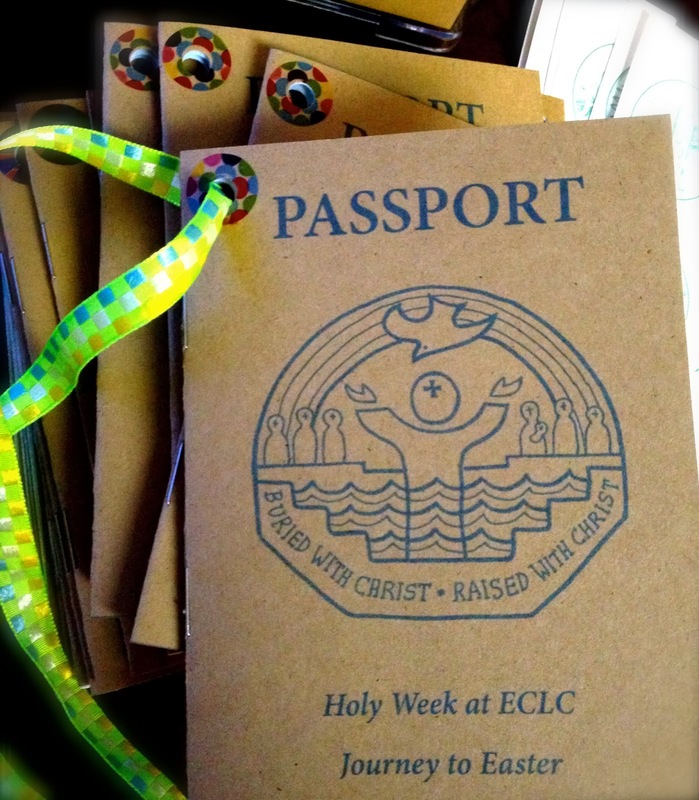 Kelly Rowley created Holy Week Passports to encourage the children of her church to attend Holy Week services. There is a page for each service and stickers that are gathered as they attend each service. The children at her church made them at a Palm Sunday fair, but children in other churches could make them in church school classes. They could even be premade and sent to families - but making your own gives it more power. Go to Sermon on the Sidewalk - Holy Week Passports for Kids and Families for the details complete with templates and photos.